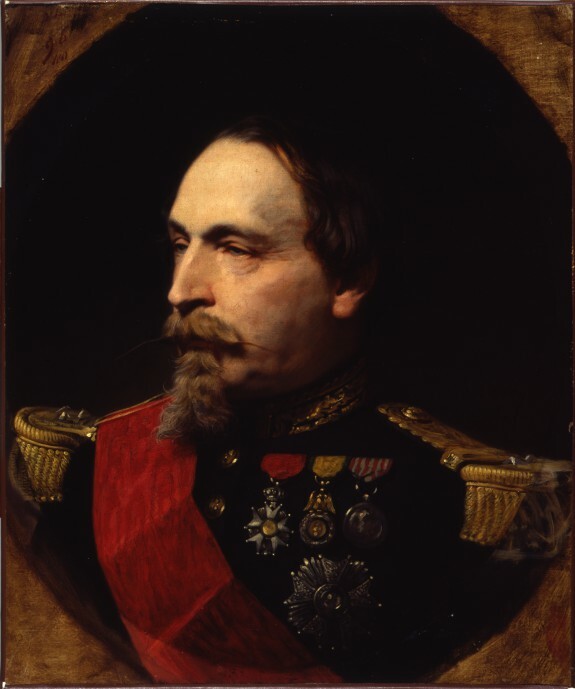 Description Yvon served as the principal battle-painter of France's Second Empire (1852-70), executing a number of monumental canvases for the palace at Versailles. He became an officer of the Légion d'honneur in 1867, and the next year painted Napoleon III's portrait. He was also a leading teacher of the école des Beaux-Arts from 1863-83. The French emperor is shown in his prime, two years before the defeat of his forces in the Franco-Prussian War (1870-1871). Nineteenth Century French Salon Paintings from Southern Collections. High Museum of Art, Atlanta; Chrysler Museum of Art, Norfolk; North Carolina Museum of Art, Raleigh; The John and Mable Ringling Museum of Art, Sarasota. 1983. Provenance S. P. Avery [date and mode of acquisition unknown]; William T. Walters, Baltimore, 1876, by purchase [according to inscription by Henry Walters in 1884 catalogue]; Henry Walters, Baltimore, 1894, by inheritance; Walters Art Museum, 1931, by bequest.